Welcome to my travelogue for the Philippines trip of summer 2003! 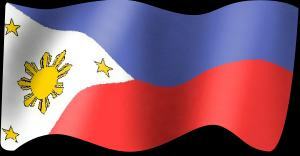 This site will chronicle our travels and work in the Philippines. Our group consists of Ken Wilkey, Clint Robinstein, Brad Cawyer, and me, David Brown. Ken has labored for the Lord in the Philippines for some time, and we're capitalizing on his experience. Well, not much else to say now - still got some packing to do and we're leaving in less than 24 hours! Keep checking back for updates and pictures! Gig'em and God bless!